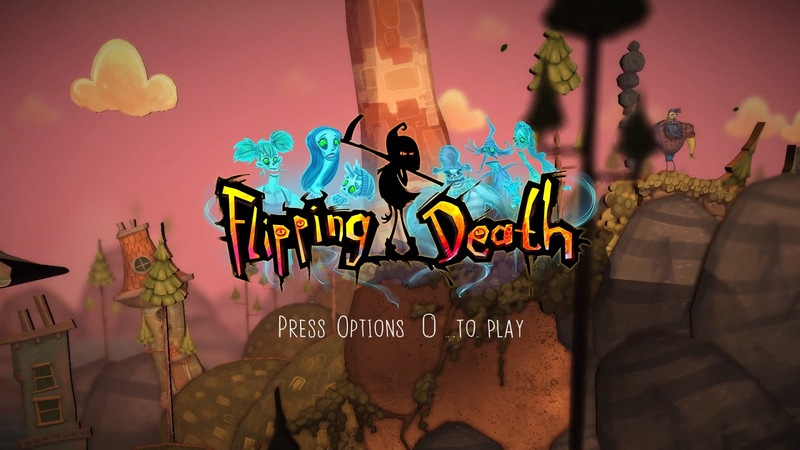 When it comes to death in games it's often a very serious subject one which hits you at your core, especially when it comes to interactive games, I have found myself emotionally gripped and too upset to play on as dramatic as that sound but to come across a light-hearted platformer game which shows a humorous side to death in a video game really lifts my spirits, I wasn't sure what was in store for me when I first started Flipping Death as I hadn't seen much about it before but the artwork drew me in, Penny has such a fun and outgoing personality I was ecstatic that I got to play as her throughout the game, she is very chilled back and makes the most of her situation even though she is in a very confusing one right now. When the game starts we see Penny speaking to an old lady making light of death at a funeral parlour, she seems the kind of girl to see the good in any situation and her boss wasn't too pleased with this, she ends up getting fired which she isn't too bummed out about in fact she can't wait to see what kind of job she would get next so long as it allowed her to still wear her devil horns. Penny meets up with her partner and has a great idea to drive to the cemetery but disaster strikes, as she is in there she ends up falling down a hole to her death where she later finds out the grim reaper thinks she is the temp for their job! The Grim Reaper doesn't tell Penny exactly what she has to do but luckily a spirit is on her hand to help out, I went into this game thinking I would work out straight away what I needed to do but actually it was a nice little challenge but there are hints which are provided and I would often work out what needed to be done without looking at the hints but chapter 3 really confused me so the hints were a huge help. 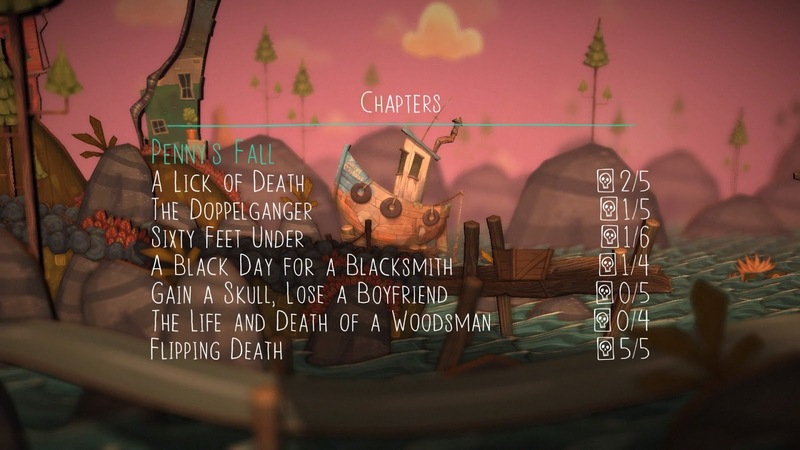 Throughout the game I found myself flipping from the spirit world to the living world in order to work out what to do next, but to this I had to collect 3 different types of souls, technically playing as Penny you must reap them, one type is easier to get than the two others, this one requires you to chase after a swarm of souls and collect them whereas the others are timed or you must make the octopus-type of spirit explode in order to release another kind of soul, to be honest, the timed ones were the most awkward kinds as you would often run into obstacles stopping you from reaching all the spirits in time. It took me a while to work out that I could actually pull myself upwards without attaching the scythe that Penny now has temporary ownership of to platforms. Once you have enough spirits you're able to possess someone and walk in their body, whilst doing this it will be your job to work out how to solve the puzzle in order to move on to the next chapter, you will have to swap bodies a number of times to complete each puzzle and it can take a lot of brain work if you don't use the hint system. 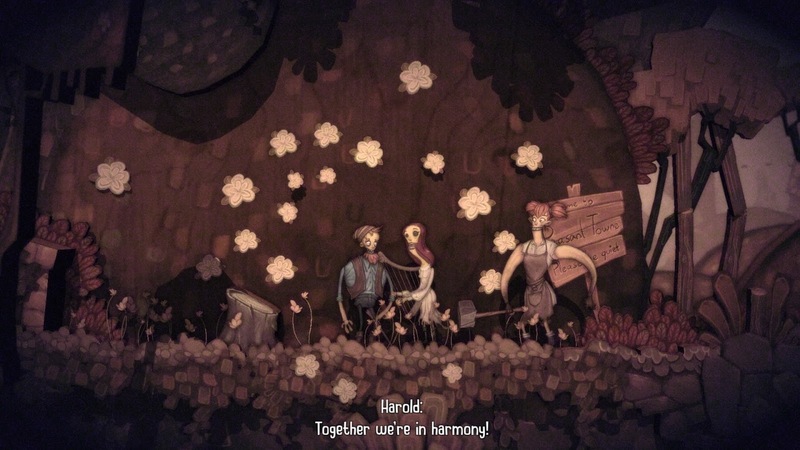 At time's I found myself frustrated at the movement of the characters, especially when it came to needing to swing my arm but this is what made it that little bit more challenging for me, the characters are meant to be awkward to play because you're taking over someone's body and that's not the easiest of tasks to do. 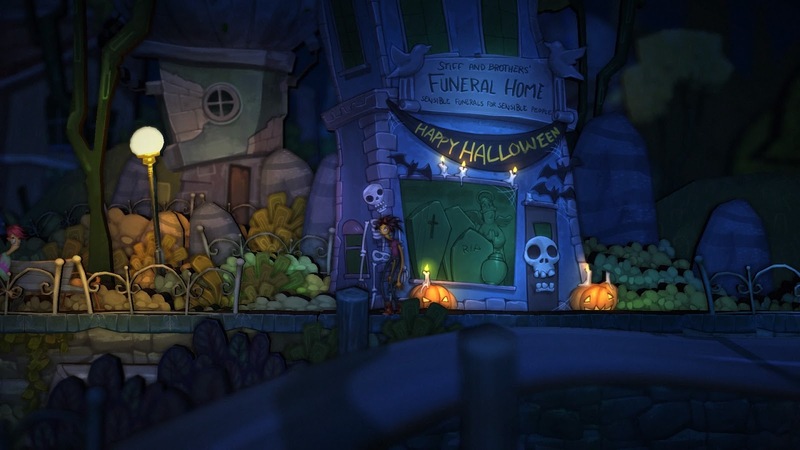 The animations are in 2D and very Tim Burtonesque which is a huge thumbs up from me as I love that quirky kind of style as it gives character and charm along with the voice acting, each character is portrayed in a fun and whacky way making the game not feel depressing just because it's about death. Each Chapter is set in the same town but doesn't feel repetitive as you get to explore and learn new things about each character, once inside their bodies Penny can read their minds and talk to them, they freak out a little which makes me chuckle. 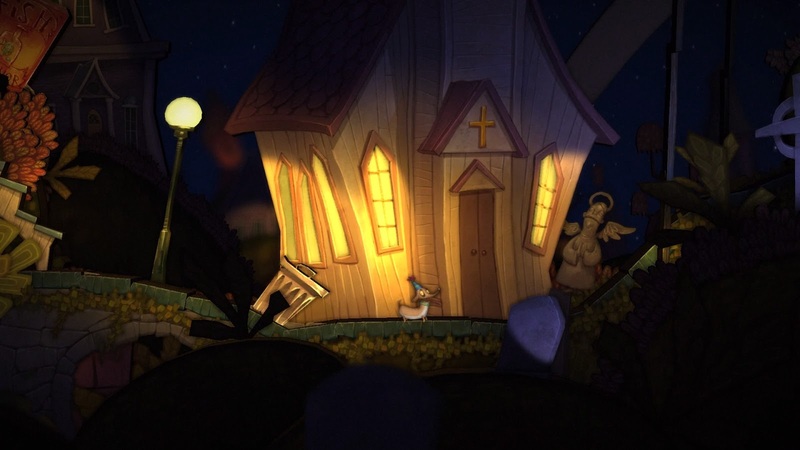 Even though Penny is trying to work out who has her body she is able to learn more about the past and present residents from her town, they each have an interesting tale to tell and Penny can travel back in time and live through some of them to find out how the ghosts from the town died. 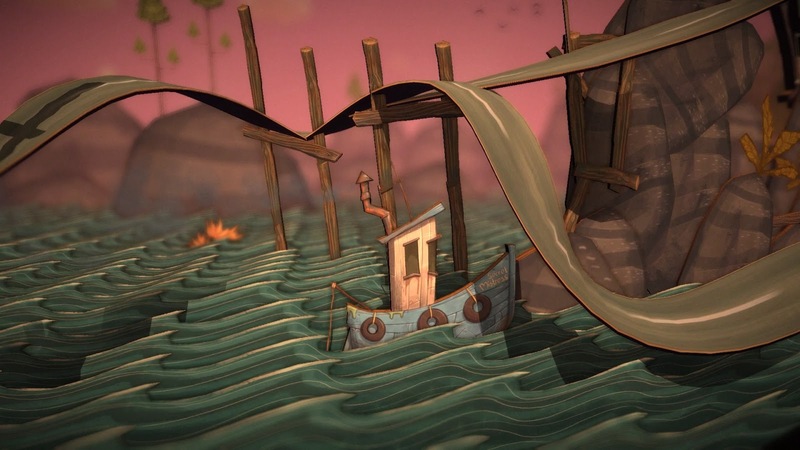 There are some very strange ways you have to solve the puzzles which end up making sense once you finish them, it makes the game more humorous and down to earth. 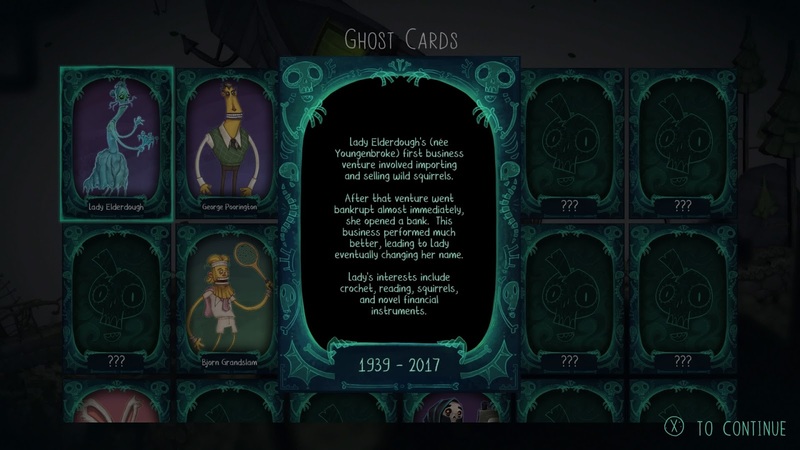 There are ghost cards to collect along the way to learn more about each character in the game, they tell you about the characters life and their personality as well as dates of when they lived and died. Want to Review Games? This is How I did it.